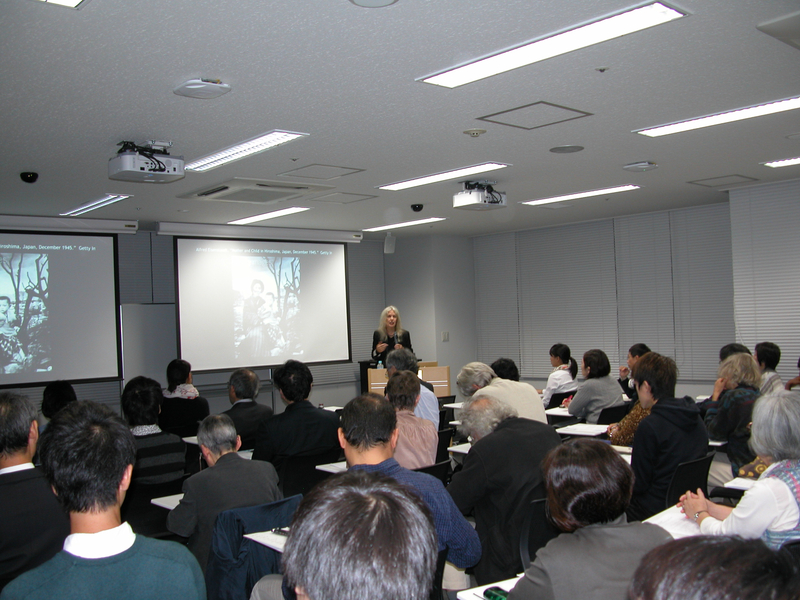 We, participants in the World Nuclear Victims Forum, gathered in Hiroshima from November 21 to 23 in 2015, 70 years after the atomic bombings by the US government. We define the nuclear victims in the narrow sense of not distinguishing between victims of military and industrial nuclear use, including victims of the atomic bombings in Hiroshima and Nagasaki and of nuclear testing, as well as victims of exposure to radiation and radioactive contamination created by the entire process including uranium mining and milling, and nuclear development, use and waste. 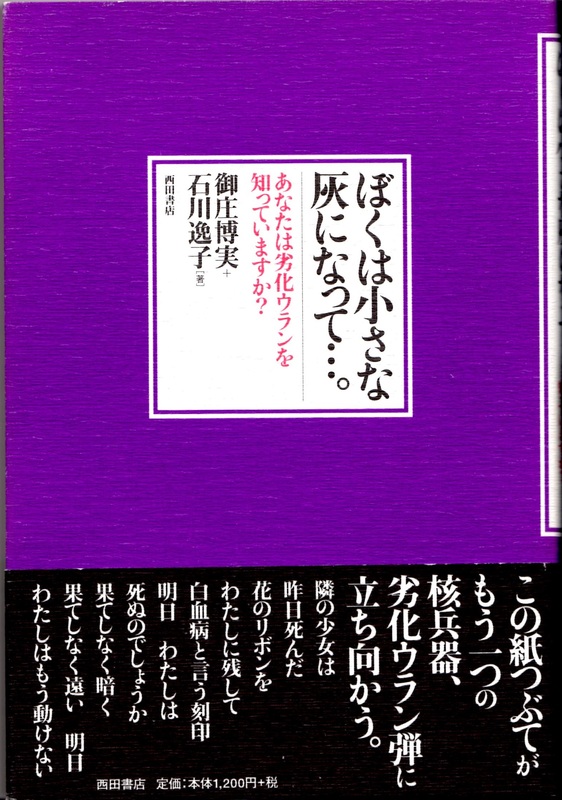 In the broad sense, we confirm that until we end the nuclear age, any person anywhere could at any time become a victim=a potential Hibakusha, and that nuclear weapons, nuclear power and humanity cannot coexist. We recall that the radiation, heat and blast of the atomic bombings of Hiroshima and Nagasaki sacrificed not only Japanese but also Koreans, Chinese, Taiwanese and people from other countries there as a result of Japan’s colonization and invasion, and Allied prisoners of war. 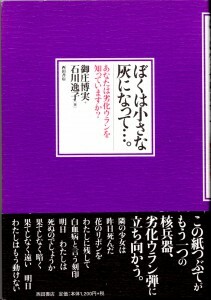 Those who survived “tasted the tortures of hell.” We pay tribute to the fact that the Hibakusha question the responsibility of the Japanese government which conducted a war of aggression; call for recognition of the right to health and a decent livelihood; have achieved some legal redress and continue to call for state redress to be clearly incorporated within the Atom Bomb Victims Relief Law; struggle to guarantee the rights of those who experienced the atomic bombings yet are not recognized as Hibakusha; and call not only for nuclear weapons abolition but also oppose nuclear power restarts and exports, and demand adequate assistance for nuclear power plant disaster victims. We acknowledge that the mining and refining of uranium, nuclear testing, and the disposal of nuclear waste are being carried out based on ongoing colonization, discriminatory oppression, and infringement of indigenous peoples’ rights, including their rights to relationships with their ancestral land. These activities impose involuntary exposure to radiation and contaminate the local environment. Thus, the local populations are continually and increasingly deprived of the basic necessities for human life with ever more of them becoming nuclear victims. We also reconfirmed that every stage of the nuclear chain contaminates the environment and damages the ecosystem, causing a wide array of radiation-related disorders in people and other living beings. Through the experience of the nuclear disasters at Chernobyl and Fukushima, we see that nuclear accidents inevitably expose entire populations living near the power plants and the workers assigned to cope with the accident to harmful levels of radiation, and that adequate response to such a disaster is impossible. We further see that radioactive contamination is inevitably a global phenomenon. We know that “military” and “industrial” nuclear power are intimately connected within a unified nuclear industry, and that every stage of the nuclear chain, including the use of depleted uranium weapons, creates large numbers of new nuclear victims. 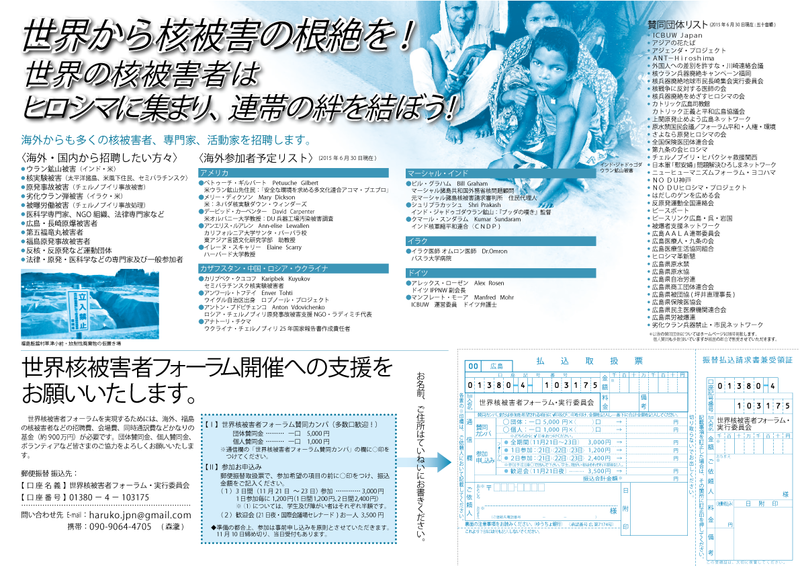 Complete prevention of nuclear chain related disasters is impossible. No safe method exists for disposing of ever-increasing volumes of nuclear waste. Nuclear contamination is forever, making it utterly impossible to return the environment to its original state. Thus, we stress that the human family must abandon its use of nuclear energy. We acknowledge that the Atomic Bomb Trial against the State of Japan (the Shimoda Case; December 1963) found that the US military violated international law in dropping the atomic bombs, and that the advisory opinion issued by the International Court of Justice stated that “there exists an obligation to pursue in good faith and bring to a conclusion negotiations leading to nuclear disarmament in all its aspects under strict and effective international control” (July 1996). We support the Marshall Islands, whose people have suffered the effects of intensive nuclear testing, in bringing this issue back to the Court in April 2014 through filing cases against nine nuclear armed states. 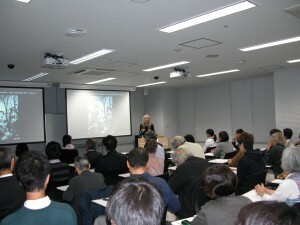 Furthermore, we recall the World Conference of Nuclear Victims which pursued criminal liability on the part of the nuclear weapon states and the nuclear industry (New York Resolution, 1987), and that the military industrial complex was found to have the responsibility of providing damages compensation (Berlin Resolution, 1992). In addition, we confirm that the International People’s Tribunal on the Dropping of Atomic Bombs on Hiroshima and Nagasaki found all 15 defendants guilty, including President Truman (July 2007). We emphasize that all states that promote nuclear energy, the operators that cause radioactive contamination, and the manufacturers of nuclear facilities including nuclear power plants must bear liability for damages done, as do their shareholders and creditors. We are gravely concerned that the export of nuclear power plants is extremely likely to result in severe human rights abuses and environmental damage. We accuse the International Atomic Energy Agency (IAEA) and the International Commission on Radiological Protection (ICRP) of underestimating the harm done by radiation exposure and hiding the true effects of nuclear power accidents. We demand the abolition of the IAEA’s mandate to “promote the peaceful use of nuclear power”. We have identified that the military-industrial-government-academic complex and states that support it have, through the use of nuclear energy, degraded the foundations of human life, and violated the right to life of all living beings. We assert that the acts of members of this complex violate fundamental principles of international humanitarian, environmental and human rights law. We condemn the Japanese government for failing to learn from the Fukushima disaster, without carrying out adequate investigations into the facts and impacts, hiding and trivializing the damage, and cutting off assistance to the victims, while investing in the restart and export of nuclear power plants. We oppose the building, operating or exporting of nuclear power plants or any industrial nuclear facility in Japan or any other country. We call for the termination of uranium mining, milling, nuclear fuel production, nuclear power generation and reprocessing, and for the abolition of the entire nuclear chain. We call for the urgent conclusion of a legally binding international instrument which prohibits and provides for the elimination of nuclear weapons. We call for the prohibition of manufacture, possession and use of depleted uranium weapons. 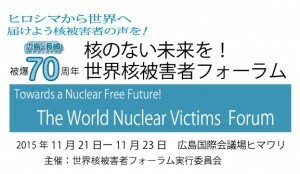 With the momentum of this World Nuclear Victims Forum, we confirm our desire to continue to cooperate in solidarity and share information regarding nuclear victims, and disseminate our message through various methods including art and media. 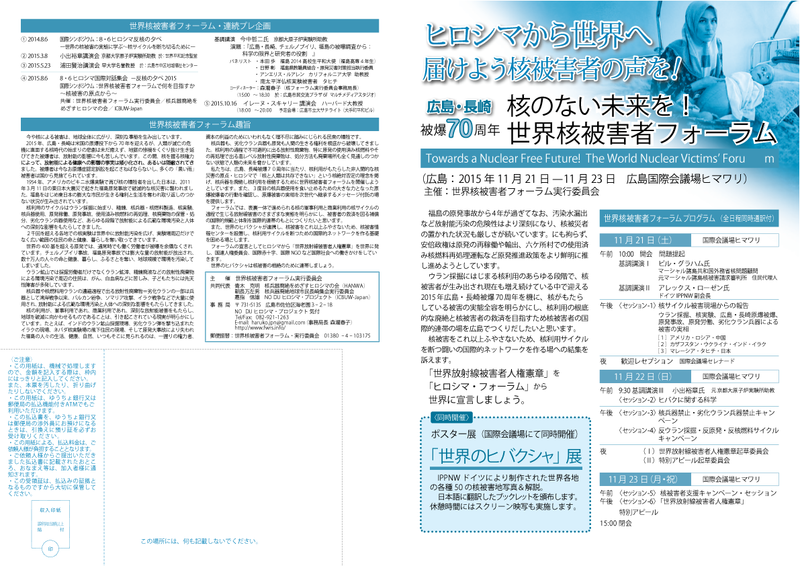 Thus, as a result of this World Nuclear Victims Forum and in order to convey to the world the draft elements of a World Charter of the Rights of Nuclear Victims, we adopt this Hiroshima Declaration. The natural world is the foundation of all life, and each human being is an integral member of the human family innately endowed with the right to partake in human civilization with equal rights to life, physical and emotional wellbeing, and a decent livelihood. All peoples have the right to be free from fear and want, and to live in an environment of peace, health and security. Each generation has the right to enjoy a sustainable society and the responsibility of effective stewardship for the benefit of the future generations of all living beings. There exists the inherent dignity of the human person and the right of all peoples to self-determination as enshrined in the Charter of the United Nations, the rights to life, health and survival as stipulated in international positive law including the Universal Declaration of Human Rights, International Covenants on Human Rights, and the Declaration of the Rights of Indigenous Peoples, as well as exists the principle of international customary law which helps to shape the emerging “law of humanity”. Full, accurate information regarding the dangers of ionizing radiation exposure through school and community education; this information to include the facts that no level of radiation exposure is without risk and that children, women and girls are especially sensitive to radiation. 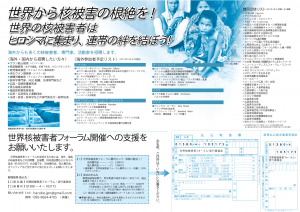 Nuclear victims have rights under domestic law derived from human rights and basic freedoms, including personal rights and the right to health. To receive free of charge the best possible medical care and regular examinations for effects related to past, present and future exposure; this right to extend to the 2nd, 3rd and future generations. An apology and compensation from the offending party for all damage to life, health, finance, suffering, and culture related to the use of nuclear energy. The remediation of radiation contaminated land and domicile, and the renewal of community and local culture. Thorough scientific investigation of the victim’s exposure by competent scientists independent of the offending party, with all findings and information completely open to the public, and the victims themselves involved in the investigation and control of information. To not be forced to return to radiation contaminated land, and for the freedom to choose whether to evacuate from or remain in a radiation affected area. And, no matter this choice, to receive support to minimize exposure to radiation, protect health, and maintain and rebuild a way of life. To refuse to work in an environment where radioactive contamination could constitute a health threat, said refusal having no negative ramifications for the victim. March 11, 2011. It has now been four years and eight months since the Fukushima nuclear power plant disaster shocked the world. Even now the disaster has not been resolved nor is it under control, and leaking of “contaminated water” continues. Families are split apart, and the affected regions have been robbed of their livelihoods, industry and local culture through radioactive contamination which will continue for decades and centuries to come. We can never fully estimate the damage to health from radiation exposure, and its health impacts transcend generations. Every day, a great number of workers are forced to confront the nuclear power plant and environmental contamination under harsh working conditions and exposure to radiation, as they struggle to bring the disaster under control, decommission the reactors and conduct decontamination efforts. How many years and decades, no, centuries will it take for lives to return to as they were? What immense funds will be required, and how many more people will be sacrificed? The situation is overwhelming. We will not, we must not, forget Fukushima. This means we must stand side by side with those whose lives and livelihoods are affected by the disaster, and seriously engage with their wish not only for compensation, but for such a disaster to never again be repeated. The Belarusian author Svetlana Alexievich was awarded this year’s Nobel Prize for Literature, in praise of her work, “Voices of Chernobyl.” The testimonies of victims of the Chernobyl disaster overlap with the situation of those affected by the Fukushima disaster, 25 years later. Hiroshima, Nagasaki, Alexievich’s Chernobyl and Fukushima are all historic tragedies, representing turning points of an era. No attempts are being made to take responsibility for the enormous tragedy of the Fukushima nuclear disaster – neither by the Tokyo Electric Power Company Inc. (TEPCO), nor the Japanese government which has promoted nuclear power generation as a national policy. Although the majority of the Japanese public is opposed to promotion of nuclear energy, the government and electric utilities are forcibly going ahead with nuclear restart, even though a major nuclear power plant disaster could once again occur. Furthermore, the government is now attempting to increase the maximum radiation exposure limit for nuclear workers in emergencies, forcing workers to be exposed to high levels of radiation. These are unacceptable actions while there is still no adequate understanding of the causes of the Fukushima nuclear disaster, no progress in measures to bring the accident under control and respond, and importantly, while relief for survivors is being cut. Within such a situation, the Japanese government is promoting export of nuclear power plants to countries around the world as a main feature of its growth strategy. Citizens in Japan and around the world are raising their voices in strong anger and opposition that Japan – as a country which has experienced the atomic bombings – could go forth with such a policy, not learning from the Fukushima nuclear disaster. Next year marks thirty years since the Chernobyl nuclear disaster, and five years since Fukushima. Based on the principle that humanity cannot exist with nuclear weapons and nuclear power, we pledge to join in solidarity and take action for a global policy shift to renewable energy that does not depend on nuclear power, for the abolition of nuclear weapons, and for the protection of humanity and the earth. We declare this Special Appeal, taking the will and suffering of Chernobyl and Fukushima as our own, to work together to realize a nuclear free future. For a nuclear free future! 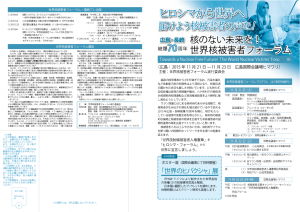 May Fukushima be the beginning of the end of the nuclear age! 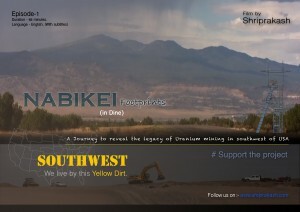 The American Southwest—especially the sovereign Indigenous nations of Acoma, Laguna, and the Diné or Navajo Nation—has a long history of uranium mining. 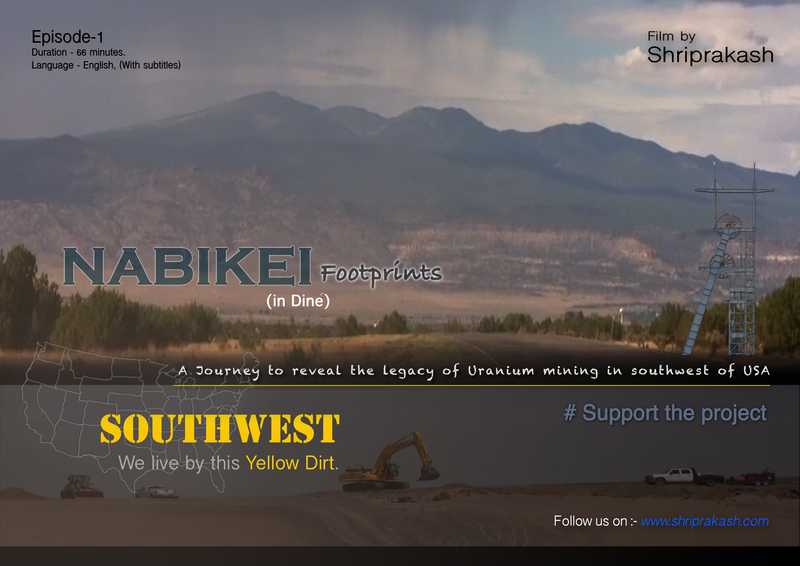 Once home to a booming economy and proudly called the Uranium Capital of the World, these Indian reservations and poor White communities are now littered with old mines, tailings dams, and other uranium contamination, which is the legacy of this deadly industry. On the Navajo Nation alone, there are more than 500 abandoned uranium mine sites that need to be addressed. In spite of the US government’s Clean Air Act,Safe Drinking Water Act, and the Radiation Exposure and Compensation Act, supposedly strict and powerful regulatory agencies like the Nuclear Regulatory Commission, and the United States Environmental Protection Agency are almost helpless to mitigate the contamination left by the nuclear industry. This film explores how colonialism, which came to the Southwest with Spanish conquest, has changed face in modern time, as it is played out in a new quest for mineral resources. Contaminated land, water, and air has left these poor communities helpless. Their efforts to gain justice have failed. Indigenous and poverty-stricken communities who suffered the most are trapped and exploited, as new mining companies continue to disregard the health and environment of these people with the lure of a better economy, jobs and new In Situ Leach uranium mining methods. Unfortunately, this is the same sad story repeated in other parts of the world including India, but in India it is the government itself undertaking the enterprise and repeating the same degradation in Jadugoda (Jharkhand).